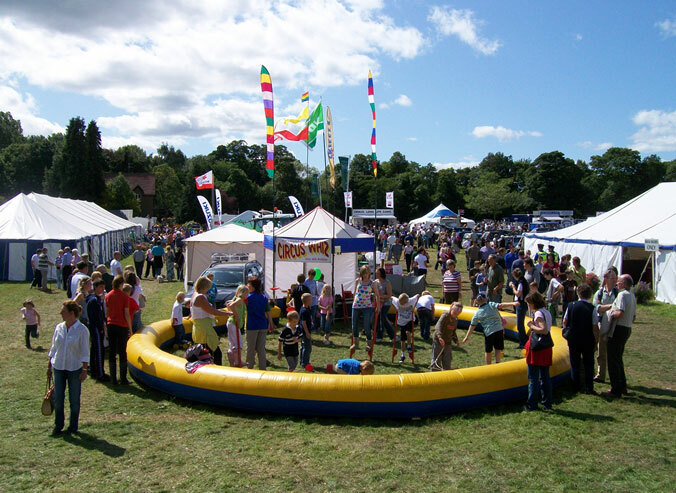 Circus Whiz provides continuous fun for all the family whatever the weather. The very best interactive circus skills workshop set in a colourful inflatable circus ring with a canopy, flags and two entertainers, with enough equipment for over 50 participants in a dozen skills. Learn how to juggle balls and clubs, diablos and devil sticks, master Olympic ribbons and cups and balls. Walk on cup or fun stilts and pedal-gos; spin a plate or a rope or hula-hoop. Parents and children, grandparents, teens and toddlers, everyone is welcome to come and play.